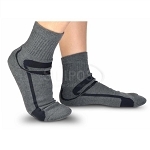 Soft, ribbed knit tubes lined with medical grade mineral oil gel. 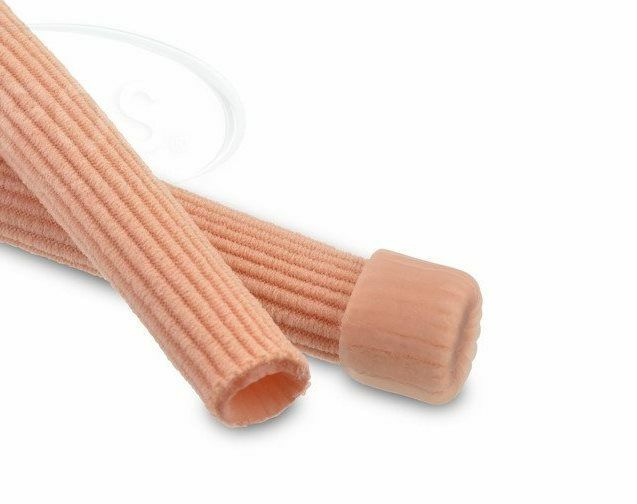 The Silipos Gel Tubing Finger Sleeves are soft, ribbed knit tubes fully lined with medical grade mineral oil gel. 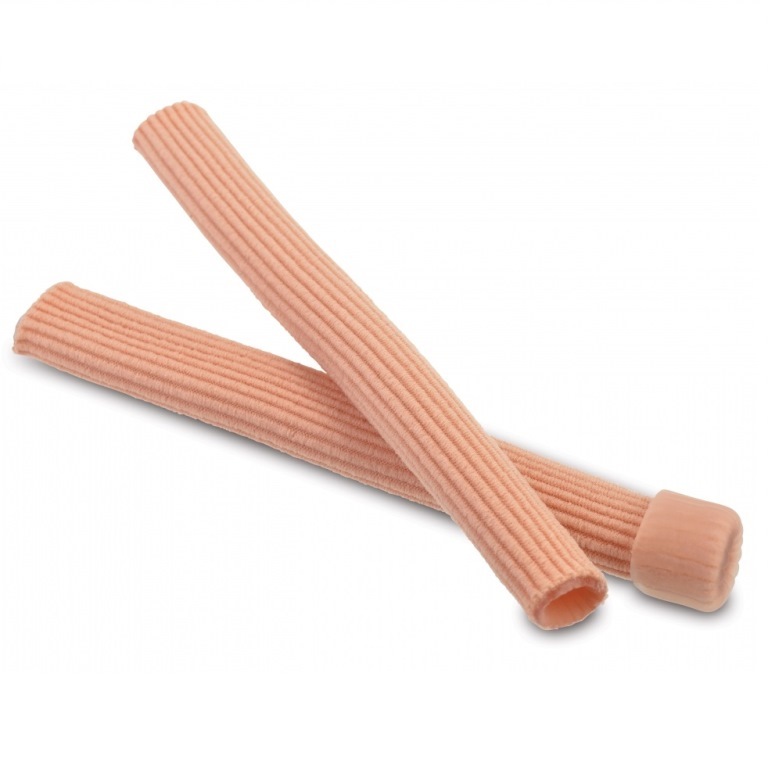 These soft gel tubes provide added protection all around fingers or toes, while absorbing shock and pressure. People with arthritic fingers will find these finger sleeves comfortable to wear. 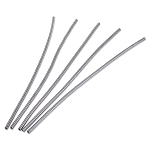 The Silipos Gel Tubing Finger Sleeves can be trimmed to meet individual sizing needs. Users needing added protection for their fingers and toes will find these gel lined sleeves are less bulky than foam tubing, and will not bottom out. 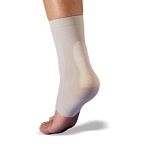 The gel tubes can aid in reducing scar tissue. 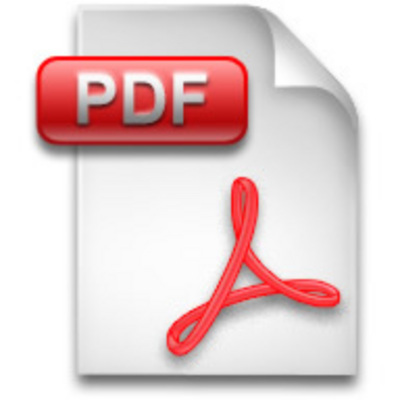 The tubes measure 6 inches long, and are available in ¾ inch wide and 1 inch wide. 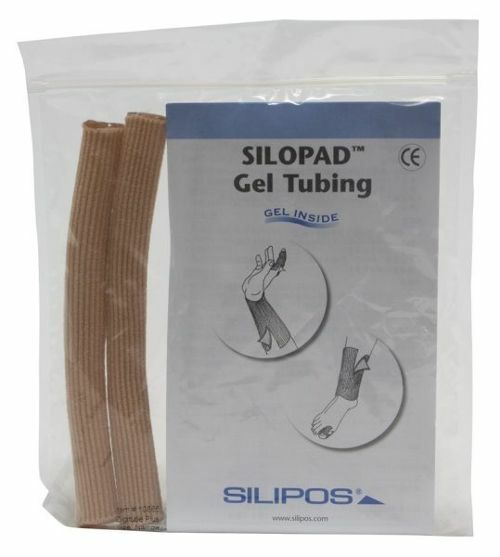 Silipos Digital Gel Tubing for fingers and toes are latex free, hypoallergenic, washable and reusable. Package of: 2 gel tube sleeves. Choose size: ¾ inch wide or 1 inch wide. 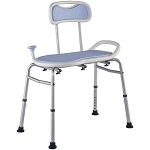 Material: Medical grade mineral oil, hypoallergenic, latex free. Purchased for my mom at the request of her occupational therapist for her finger. Very comfortable and soothing to her skin. Q: Is the small 3/4” wide? A: Yes, the smaller size is 3/4 " wide. This size would be used for the smaller fingers or toes.